Banned Book Club is a meme I host where we read one historically challenged book a month. We support free speech and fight censorship every chance we get. Join our Goodreads group and DM me on Twitter to join our group chat. 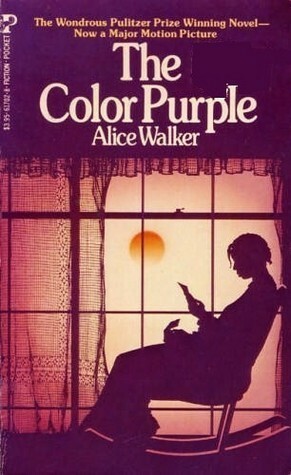 The Color Purple was in my TBR for the longest time, before we finally decided to read it for the Banned Book Club this month. And my, what a read it was! This epistolary novel is about Celie, an African American woman, and the racism and sexism she faces. As a teenager, she’s raped by her Pa and gets pregnant. She delivers two babies but they’re torn away from her. She’s also married off to a man who’s still in love with Shug Avery, a former partner of his. His kids from an earlier marriage don’t treat Celie any better either. This is the story of how Celie finally embraces her inner free spirit and learns to be independent and speak for herself. The Color Purple is an excellent book about female relationships, family dynamics, and how you can turn your life around if only you embraced your creative spirit, your God, that exists in you. As always, this is yet another book that never should have been banned or challenged. Previous Post 6 tips to write a headline that’ll make your blog post irresistible. Next Post The blogger’s guide to Search Engine Optimization. Great review, and yes I so agree – why in the world should this book have been banned? Thanks so much! This is such a wonderful book that deserves to be read. It never should’ve been banned. I read it and went yep I’m going to be recommending it to my partner who teaches secondary school…..this needs to be read…..and discussed and debated. I really think they will, and if it opens the discussion up so students feel safe to discuss one of the big issues facing our society, then that’s an excellent step forward. Excellent review! Wish I could have participated this month! Ahh, I am yet to start this book but I know that I am going to love this one. Just writing a thesis on female subjugation. Read about it. It’s about feminism na? Don’t understand why ban it! Exactly! The subjugation of women is precisely why this book was probably banned. Why tell women they can actually rise up and not be subjugated? I have no idea, either. HTML perhaps? Haha. I’ll check your review out!